Detail: “2017 Sustainable Development International Forum” was successfully held in 24 June in Macao Science Centre. Around 120 participants attended the Forum. 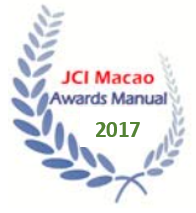 Junior Chamber International Macao, China (JCI Macao, China) is the pioneer of introducing the concept of “Corporate Social Responsibility” to Macao since 2007. In the past decade, we have made a tremendous success in promoting and showcasing the innovative ideas of CSR to our local corporates. This year, we want to make a bit change. In response to the strategic plan of the “17-Sustainable Development Goals” from United Nations (UNSDGs) and the “Five-Year Development Plan” of Macao S.A.R. (2016-2020), we extend our theme to Sustainability and hold “2017 Sustainable Development International Forum” this year. We have invited 3 keynote speakers: Mr Brian Ho from Climate Change and Sustainability Services of Ernst & Young, to briefly introduce what are the UNSDGs, why we need them, and how we could accomplish the goals; Mr Morse Lei from Macao Association of Environmental Protection Industry and Macao Residue System Company Limited to provide the general information about how they are dealing with the solid waste pollution; Mr Dai Xiaoji from Sound Group Limited to provide alternatives and solutions to help Macau to acquire clean energy, and turn itself to be a sustainable city. with theme of “commercializing and bringing carbon and non-carbon emission reduction into practice”. International expert speakers, Macau local and overseas’ representatives of related Industry are cordially invited to participate. The ambition is to allow enterprises to understand current business opportunity brought by the trend of emission reduction through a high-level open-communication platform. organizations that we have partnered with in the past will be invited to share the positive impacts that our programs have brought to the society. Their sharing will be featured in our video, aiming at presenting their effort and achievement in the scope of implementing CSR in our society. With the global trend of Environmentally Sustainability, this year, 2016 CSR International Forum would aim to promote Business Opportunity with the Trend of Emission Reduction, and will invite international speaker to share their knowledge & experience, technique of emission reduction, distribute feasible suggestion for Macau SMEs, local governments and all participants, and also promoting the stated topic with existing policies. Detail: Organized by Pan Mac Junior Chamber and Hou Kong Junior Chamber, the joint monthly meeting has been held in Hotel Golden Dragon. JCI Vice President Teddy Lee and JCI APDC Counselor Sang Woo Bae have participated in this event. Detail: JCI Vice President Teddy Lee visited JCI Macao, China from April 10 to April 11. During the stay, a working meeting was held for reporting the operation of JCI Macao, China. JCI Vice President recognized our effort and gave us lots of support and advice. Detail: A professional training for the members of JCI Macao and JCI Hong Kong. Head trainer is JCI Training Commissioner for Asia and the Pacific Senator Roberto Noronha from JCI Macao, China. Two assistant trainers are JCI Certified National Trainer Senator Patrick Au Yeung and JCI Certified Local Trainer Senator Peter Chao from JCI Hong Kong. Copyright © 2014 Junior Chamber International Macao, China. All rights reserved.